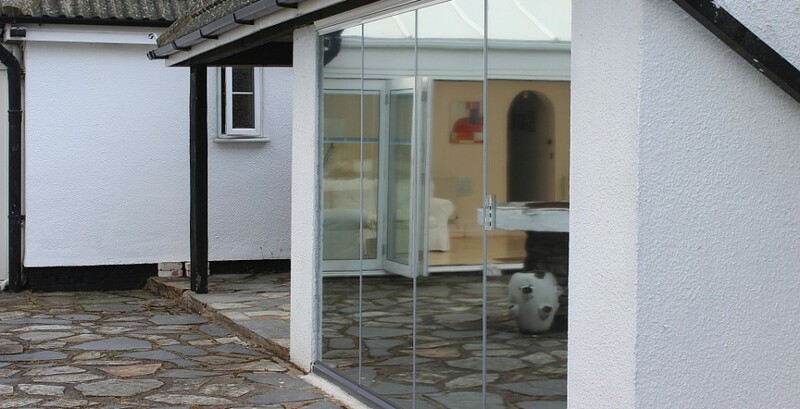 We offer Double-Glazed Frameless Glass Doors, suitable as patio doors for the home, and single-glazed options as internal room dividers or external enclosures. All our Frameless Glass Doors comprise a master door that pivots open for general access between areas and other doors that will slide towards the open door. This enables each of the other doors to pivot open in the same way and stack at the side of the opening for maximum access. 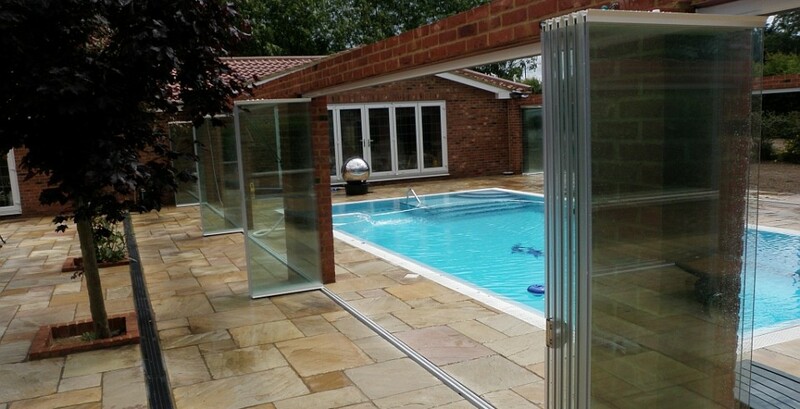 Our DG-Frameless glass doors aer similar to UltraSlim patio doors; there is a main pivot-opening door and all other doors will slide, pivot and stack at the side of the opening, for maximum access space between the two areas. There is no frame at the sides of each door therefore the 19mm seal around the double-glazing is visible. The glazed unit conforms to European and British standards and bears the all-important kite-mark that you know you can trust. 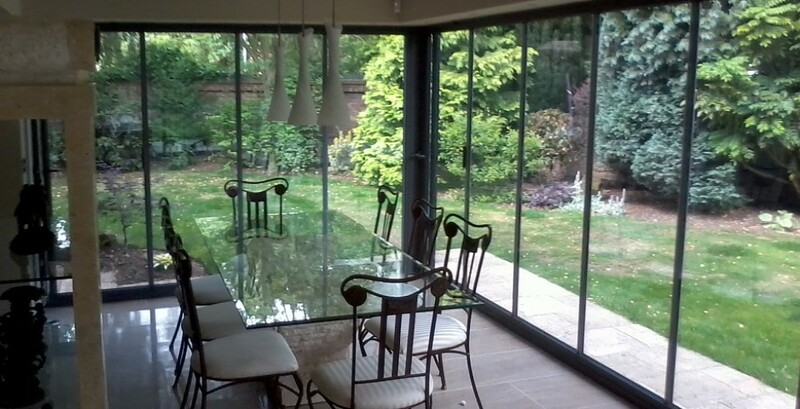 If you require integral blinds, please choose our UltraSlim doors with aluminium frames. Frameless Glass Patio Doors kitemarked™ double glazed, thermally-compliant, fully retractable door system, made to measure and installed in (usually) under four weeks. We use 10mm tempered “unbreakable” toughened glass panels. The doors look and feel fabulous for retractable sliding partitions. 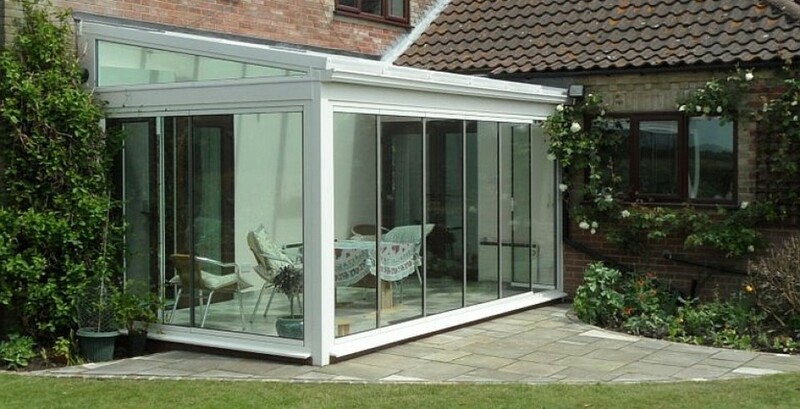 Not suitable as patio doors, though, as their insulation properties do not meet British Standards. Room Dividers: an expanse of glass between rooms when you want it, slide all doors to stack at the end of the guides when you want to return to open plan. Frameless Glass Enclosures: weather resistant doors to extend the use of your terrace, balcony or cabana ~ during rain showers, when temperatures drop or the wind blows gustily. Can also protect pool users from cold winds. Repeat with each of the doors. Repeat with other the doors. One form to complete for comparative quotes on all our doors.